Creative Blessings by Missy: New Free Product - Going, Going, almost Gone! Stampin' UP! 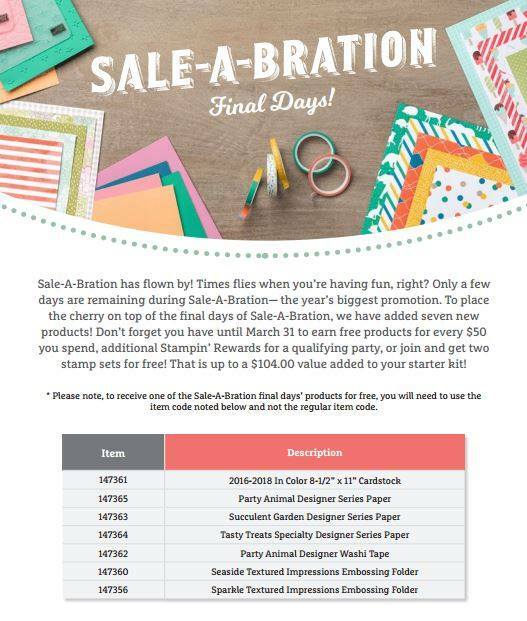 has sweetened the offerings with these spring and annual catalog products..
You can select any of these for FREE when you place a $50 order online or emailed to me. I love all their choices but my favorite is the Succulent designer paper.